On November 21, the presentation of survey regarding the monitoring of vehicle obligatory Periodic Technical Inspection (PTI) reform process was held. The presentation took place at Courtyard Marriott Hotel. 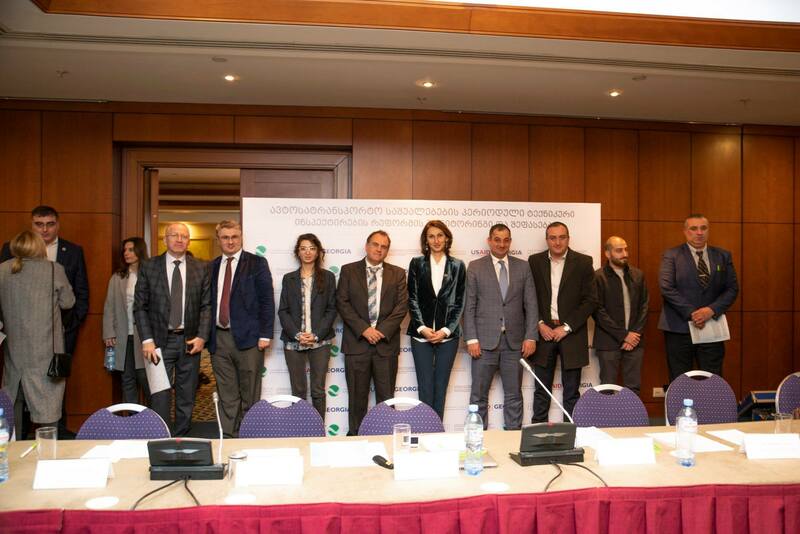 The conference demonstrated the results of monitoring and recommendations of the ongoing testing process in Tbilisi and regions. Furthermore, the comparative analysis of air quality indicating how technical inspection of motor vehicle affected air quality improvement. The conference opened by showing a social video created within a framework of public awareness campaign “Adjust or Turn Off”. The campaign aims to raise awareness of necessity of technical inspection among drivers. The Deputy Minister of Economy and Sustainable Development of Georgia, Akaki Saghirashvili; the Chairman of the Environment Protection and Natural Resources Committee, Kakhaber Kutchava; the representative of USAID, Adam Smith; the representative of the European Commission, Alexandre Darras; along with representatives of non-governmental, private and donor organizations participated in the conference. From July 1st this year, the motor vehicles of commercial and legal entities and from October 1st, the high-performance engine vehicles, are subject to Periodic Technical Inspection (PTI); besides, from January 1st 2019, all types of motor vehicles will be subject to this reform.